No, we conveniently offer medical care on a Walk-In basis. We offer medical care by appointment for Annual Physicals and Well Women Visits in order to provide you with increased accessibility. Please call us during office hours to make an appointment: 949-360-1069. In the near future we will be adding an online appointment request option as well. WHERE DO I GO AFTER HOURS / EMERGENCIES? If your medical matter is an emergency, please call 911. For matters that cannot wait until our office reopens, please go to your nearest hospital emergency room. For inpatient or emergency care, our medical group is affiliated with Mission Hospital, Hoag Hospital and Saddleback Memorial. AM I RESTRICTED TO MY PRIMARY CARE PHYSICIAN? For insurance purposes, we are a group, which means that you are welcome to see any of the doctors within our group. HOW DO I FIND OUT ABOUT MY LAB RESULTS? You will be called by our office with any abnormal labs result as well as normal results. Your doctor will advise you as to when you can expect a call. To check on your results, please phone us at 949-360-1069. To have a prescription refilled, simply have your pharmacy contact us for your refill. DO YOU WORK FOR A HOSPITAL? No. Although we are affiliated with Mission, Hoag and Saddleback Hospital, we are independently owned and operated. We have chosen to affiliate ourselves with Mission, Hoag and Saddleback Hospital in order to take advantage of their superior clinical network and support services. Most people experience no side effects from the injected influenza vaccine. Less than one-third of those who receive the vaccine will have some soreness at the vaccination site, and about 5% to 10% will experience a headache or a mild fever. The most serious side effect that can occur after an influenza vaccination is an allergic reaction in individuals who have a severe allergy to eggs. For that reason, people who have an allergy to eggs should not receive the influenza vaccine. WHY DO I NEED THE FLU VACCINE? Between 5% and 20% of the U.S. population gets the flu each year. The illness leads to about 36,000 deaths and 200,000 hospitalizations each year, according to federal officials. All children between the ages of 6 months to 5 years Adults age 65 and over Individuals age 2 to 64 with underlying chronic medical conditions All women who will be pregnant during influenza season Residents of nursing homes and long-term care facilities Children 6 months to 18 years of age who are on chronic aspirin therapy Healthcare workers with direct patient care Out-of-home caregivers and household contacts of children age 6 months and younger. WHEN SHOULD I GET A FLU VACCINE? The influenza vaccine is recommended during flu season, usually between October through March every year. Please obtain the vaccine early to attain maximum benefit. For children and infants who are obtaining the flu vaccine for the first time, two vaccine doses spaced at least one month apart are given. 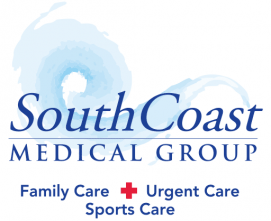 There is ample, free parking at South Coast Health Center. We accept most insurances. Please call for details.